We have more than 10 years production experiences in manufacturing lead, tin, and zinc products. On our factory floor we have tools for merging, punching, extruding, centrifugal merging, lead plummet molding, lead or zinc rope weaving as well as drawing. GUANG DONG YONG HUANG LEISURE PRODUCTS CO., LTD WAS FOUNDED IN 1991, IT HAS BEEN MORE THAN 20 YEARS HISTORY, THE REGISTERED CAPITAL OF 10000000 CNY. SPECIALIZING IN THE PRODUCTION OF LEISURE FISHING TACKLE (FISHING SINKER,FISHING REEL,FISHING LINE, ETC. ), DIVING EQUIPMENT, CURTAINS ACCESSORIES AND OTHERS,THE ANNUAL PRODUCTION ABILITY IS ABOUT 350000000 CNY.THE COMPLETE VARIETY, GOOD QUALITY , REASONABLE PRICE , YONG HUANG COMPANY ARE FAVORED IN (EFTTEX FISHING TACKLE SHOW) EUROPEAN FISHING TACKLE EXHIBITION, THE USA FISHING TACKLE EXHIBITION (ICAST FISHING SHOW), BRAZIL FISHING TACKLE EXHIBITION (MARINER BOAT SHOW), RUSSIAN FISHING TACKLE EXHIBITION (HUNTING & FISHING IN RUSSIA), HOME TEXTILE EXHIBITION IN FRANKFURT,GERMANY (HEIMTEXTIL IN FRANKFURT), CHINA IMPORT AND EXPORT FAIR (CANTON FAIR), (BI HAI FISHING TACKLE OF TIAN JIN CITY) BI HAI FISHING TACKLE EXHIBITION OF TIANJIN, CHINA INTERNATIONAL FISHING TACKLES TRADE FAIR(CHINA FISH),SUZHOU SHANG HUA FISHING TACKLE EXHIBITION (SUZHOU SHANG HUA FISHING TACKLE SHOW) AND OTHER DOMESTIC AND FOREIGN MAJOR FISHING TACKLE EXHIBITION. WE ALSO THE CHINESE SPORT FISHING ASSOCIATION "SPECIAL PRODUCTS, OUTDOOR FISHING" FAVORITE CONSUMER PRODUCTS, "CHINA SPORTS ASSOCIATION FOR CULTURE AND EDUCATION" THE ASSOCIATION OF CERTIFIED PRODUCTS. PRODUCTS ARE SELL WELL IN THE USA, SINGAPORE, AUSTRALIA, SPAIN, THE NETHERLANDS, MALDIVES, TOBAGO, KOREA, GERMANY, FRANCE, BRITAIN, NEW ZEALAND, GREECE, JAPAN, POLAND, FINLAND, MORE THAN 60 COUNTRIES AND HONG KONG, MACAO AND TAIWAN REGIONS. AT THE INTERSECTION OF THE 324 STATE ROAD& SHEN-HAI EXPRESSWAY G15& XIAMEN-SHENZHEN HIGH-SPEED RAILWAY , THE COMPANY ABOUT 12 KILOMETERS AWAY FROM THE HIGH-SPEED RAILWAY STATION, CHAOZHOU PORT ABOUT 15 KILOMETERS, CHAOSHAN AIRPORT ABOUT 70 KM, SHANTOU PORT ABOUT 50 KM, TO THE XIAMEN AIRPORT IS ONLY ABOUT 2 HOURS BY CAR. 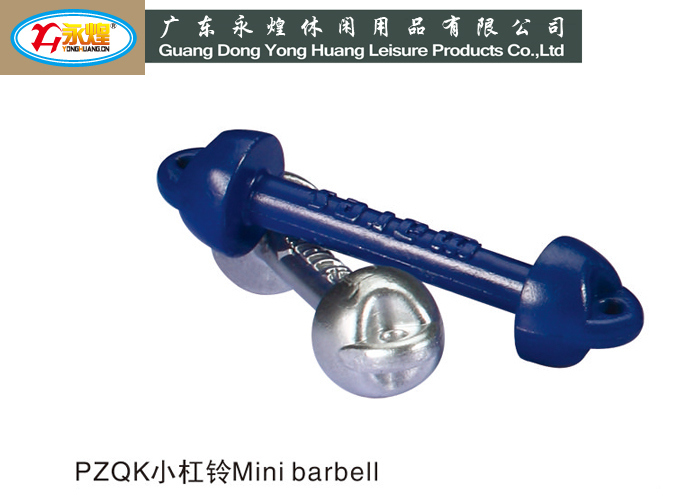 THE COMPANY IN GUANGZHOU JIN HUA DI FISHING MARKET&HEBEI DACHANG INTERNATIONAL FISHING TACKLE MARKET&WEIHAI FISHING TACKLE MARKET HAVE SET UP WAREHOUSE MARKETING CENTER TO SERVE THE CUSTOMERS WHICH FROM VARIOUS REGIONS. THE COMPANY ADHERE TO THE "INTEGRITY FOREVER , CREATE BRILLIANT" FOR THE PURPOSE, IN SUCCESSIVE YEARS BY THE ADMINISTRATION FOR INDUSTRY AND COMMERCE AS "HONORING CONTRACTS AND STANDING BY REPUTATION OF GUANGDONG PROVINCE",IN THE PAST 20 YEARS,WE HAVE ESTABLISH A GOOD COOPERATIVE RELATIONSHIP WITH DOMESTIC AND FOREIGN MERCHANTS . WE IN GOOD FAITH TO TREAT FRIENDS, TO MEET CUSTOMER BY HIGH QUALITY, CONTINUE TO WORK HARD, TO DEVELOP AND INNOVATE. STRIVE FOR DOMESTIC AND FOREIGN CUSTOMERS WITH THE PREMIUM END OF THE MARKET'PRODUCTS AND SERVICES. SINCERELY WELCOME DOMESTIC AND FOREIGN MERCHANTS TO NEGOTIATE, FIELD TRIPS. WE SINCERELY LOOK FORWARD TO MORE FRIENDS WITH US "INTEGRITY FOREVER , CREATE BRILLIANT"!